When ex-model Ivy Seacrest steps onto Noah Ballenger's ranch he wonders why the prettiest woman he's ever seen is working with cows, not on a catwalk. 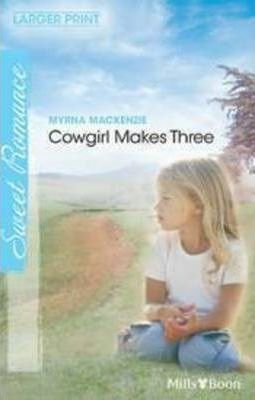 Ivy needs to earn enough money to pay her debts, while proving to Noah shes a bona fide cowgirl. But, beneath her sassy attitude, Ivys heart bleeds whenever she sees Noahs baby daughter. Can a doting daddy and his little girl mend Ivys broken heartand make their little duet a trio?